Tried, tested and trusted for over 30 years. 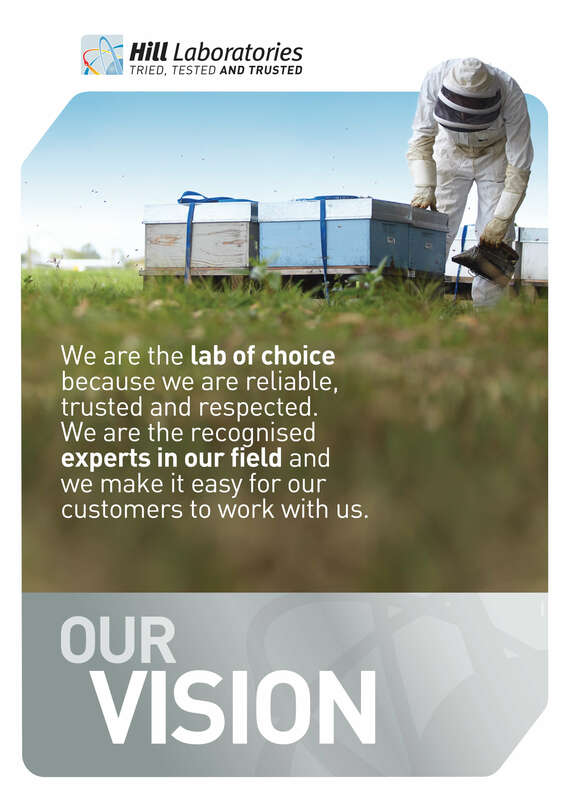 For three decades our focus has remained unchanged: providing New Zealanders with the best analytical testing service on offer. Founded in 1984 by Dr Roger and Anne Hill, Hill Laboratories has grown to become New Zealand’s largest privately owned analytical laboratory. We use the latest technologies to supply a broad range of laboratory tests to domestic and international markets in three testing areas: Agriculture, Environmental and Food. With a dedicated team of expert Client Services Managers across all of our market sectors, we pride ourselves on our unwavering commitment to providing a quality customer service experience. Why should you choose Hill Laboratories for your analytical testing services? 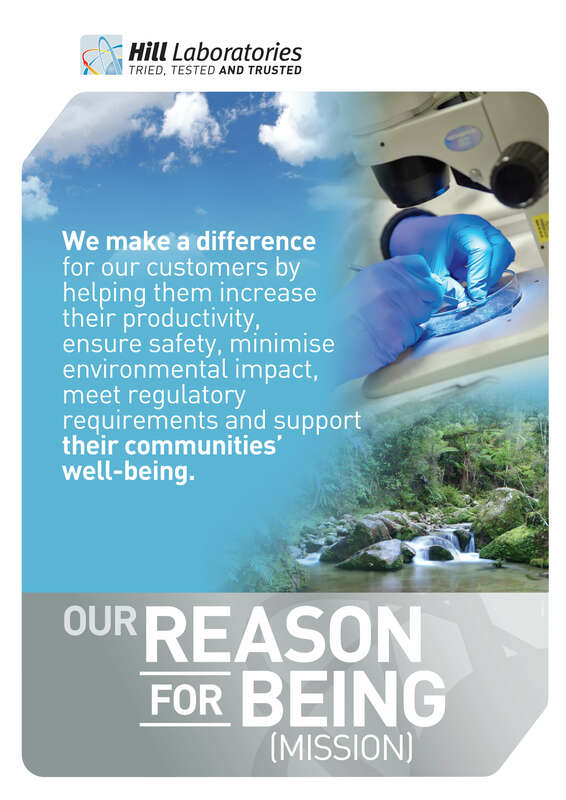 Attention to detail, industry leading quality systems and our desire to continually improve our service has kept Hill Laboratories at the forefront of analytical testing in New Zealand. Hill Laboratories is New Zealand’s largest independent laboratory, guaranteeing impartial, accurate information and results, every time. 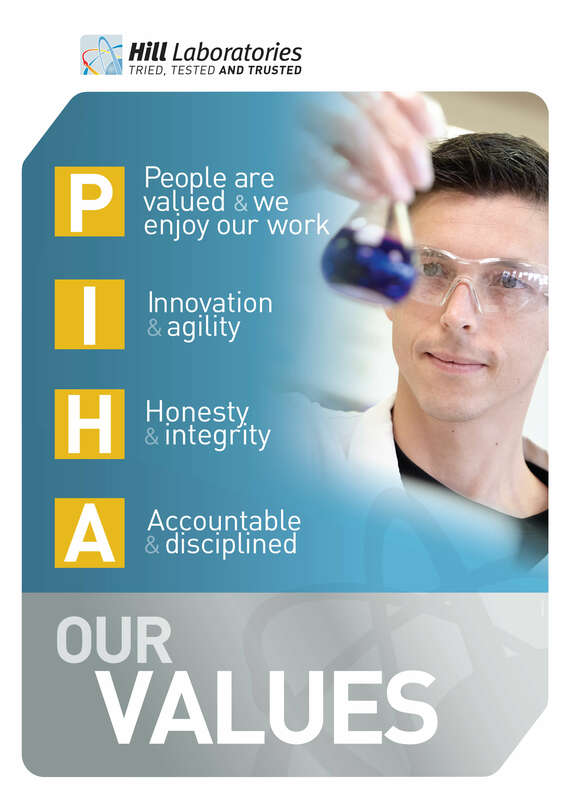 Conducting business with honesty and integrity are the values on which Hill Laboratories is built on. State-of-the-art technology and instruments mean little without the right people to operate them. At Hill Laboratories, it’s the expertise that sets us apart. Our highly qualified and experienced team has the knowledge and nous to tackle any analytical testing scenario, often pioneering new tests for many industries. Soil, feed, water, air, food, wine – we’ve got New Zealand covered. With a comprehensive suite of analytical tests for the agriculture, environmental, and food and bioanalytical sectors, Hill Labs offers a one-stop-shop. Roger Hill was born in Te Aroha and studied at the University of Auckland, graduating with a PhD in Chemistry in 1979. His first and only employment was with a small company called Analytical Services Ltd. in Cambridge. This involved setting up and then managing the privately owned soil testing laboratory. After eight years, he left to start up Hill Laboratories with his wife Anne in 1984. The rest, as they say, is history. Roger remains active in the company, providing both strategic leadership and a vast amount of technical knowledge to the executive team. Roger has been involved in many industry organisations, including the Australasian Soil and Plant Analysis Council, the New Zealand Association of Consulting Labs. He is a trustee of The Hamilton Science Awards Trust and in 2012, was awarded an Honorary Doctor of Philosophy from the University of Waikato for his contribution to science. Dr Jonno Hill joined Hill Laboratories immediately after finishing his studies at the University of Canterbury in 2005, where he studied Molecular Biology and Chemistry, and graduated with a PhD in Organic Synthetic Chemistry. He spent his first four years at Hill Laboratories in the Analytical Technology groups of the Environmental, and Food and Bioanalytical divisions. Here, he primarily developed methods on the company’s high-tech pesticide residue testing instruments. The following two years, Jonno spent time in an Operational Management role in the company’s Food and Bioanalytical division. In December 2011, he moved into the Senior Management position of Division Manager - Environmental. Originally from South Africa, Alistair spent 19 years in the UK before moving to New Zealand in 2009. Alistair has worked for a range of large international organisations, within the manufacturing, service and analytical laboratory industries. His experience ranges from broad commercial and financial management and reporting to mergers and acquisitions. Originally from Ireland, Stu gained his Bachelor's Degree in Human Resource Management in Belfast. He has worked in HR for over 10 years, including roles at the NHS (United Kingdom) and Hamilton City Council. Stu joined Hill Laboratories from his senior HR advisor position at Opus International Consultants Ltd in 2015. "When the role came up with Hill Laboratories, I thought it would be a good fit for me as it has a good reputation, is well established and is a family business, which I was raised in." In March 2018, Stu was promoted from his General Manager - Human Resources role to General Manager - Corporate Services, a reflection of Stu's work in Finance, Learning and Development, and Health and Safety areas. As well as the previously listed areas, Stu is also responsible for Quality and Facilities.